Today I'm sharing a tutorial for felted wool dryer balls. I have been wanting to make these for a long time! 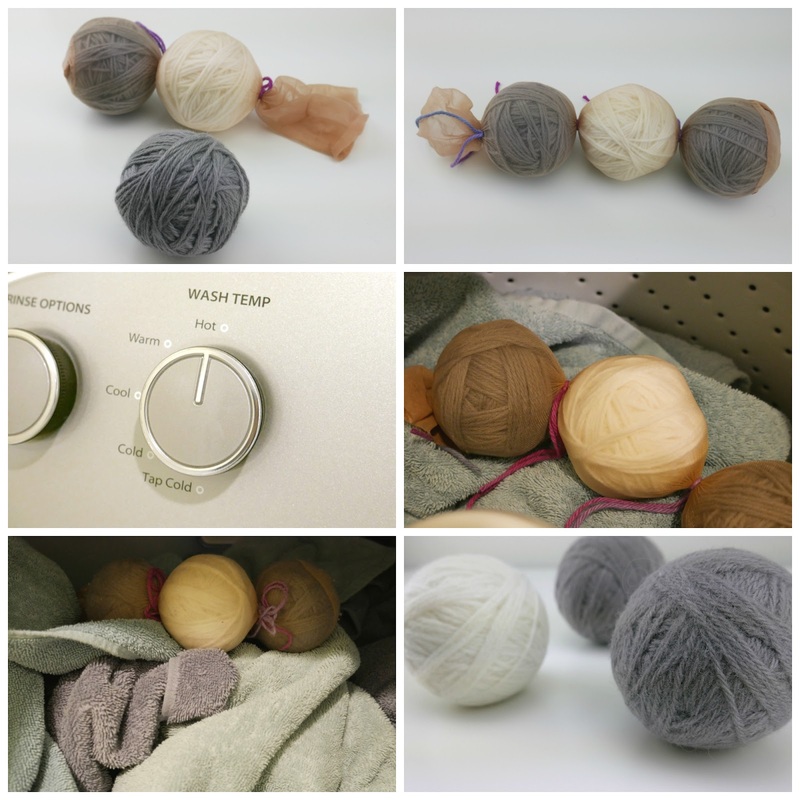 These are a great alternative to dryer sheets as they don't have strong fragrance or chemicals. 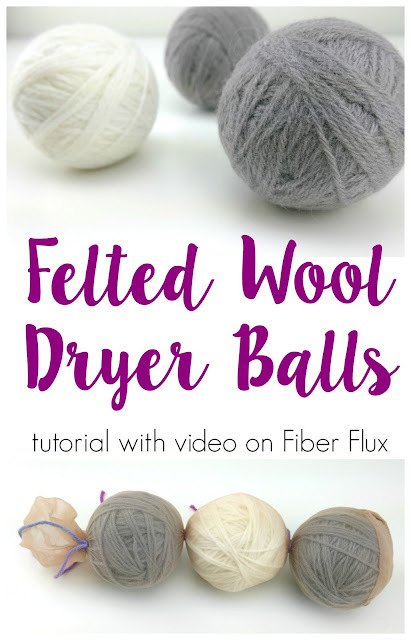 They are easily and quickly made and are felted in your washer and dryer...in fact you can throw them in with your next load of things to be washed in hot water (like towels for example)...easy peasy! I used things I already had, making them an excellent stash buster and make really neat little last minute gifts too! Each ball (if you're using same amount and type of yarn I did) measures about 3 inches across. Different yarn and yardage may vary sizing a bit. 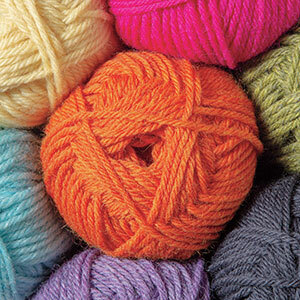 Wind the yarn into a ball, make as many as you like. 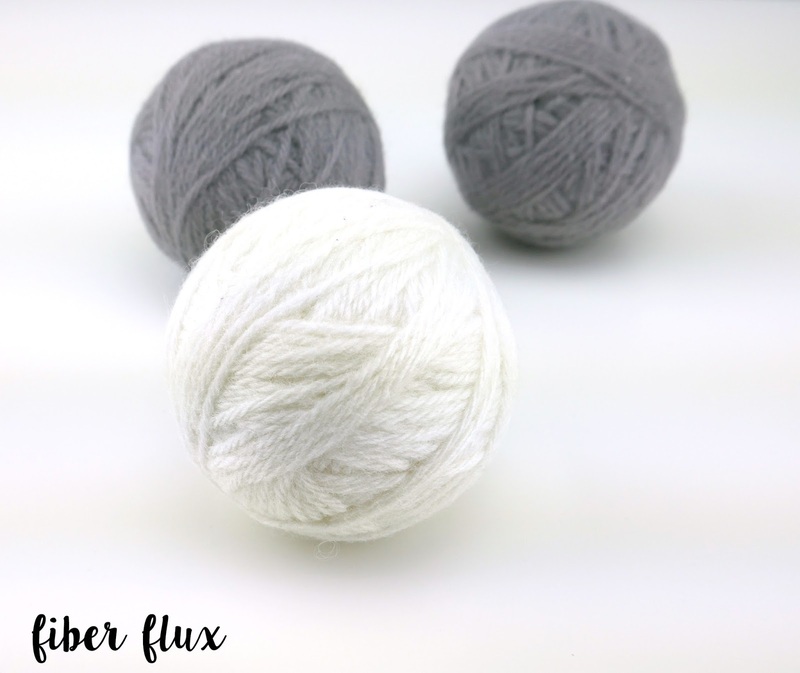 Place yarn balls in a nylon, tying the top and in between with a piece of cotton yarn. Be sure to get each section nice and snug. Wash in hot water and rinse in cold water. 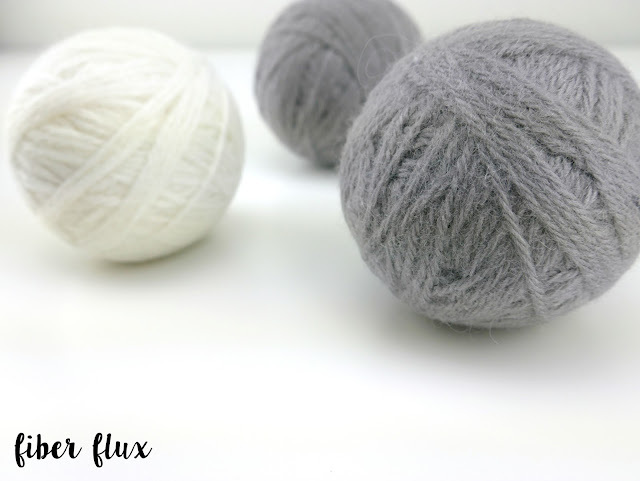 Place some towels or something similar to get a good "agitation" to assist with the felting process. Dry in the dryer with other items on the hot setting. Remove from nylons by carefully cutting away. You might have to peel it back a little. Use in the dryer in place of dryer sheets. If desired, place a drop or two of essential oil to scent them. You might have to repeat this step as you use them and the scent wears away. 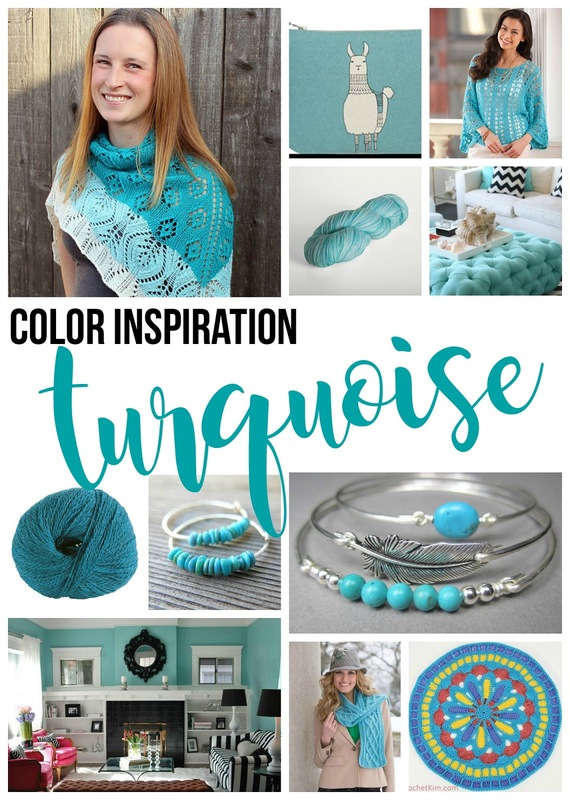 I made several of these last year and love them! Not only can you skip the dryer sheets, but the loads dry faster, too.